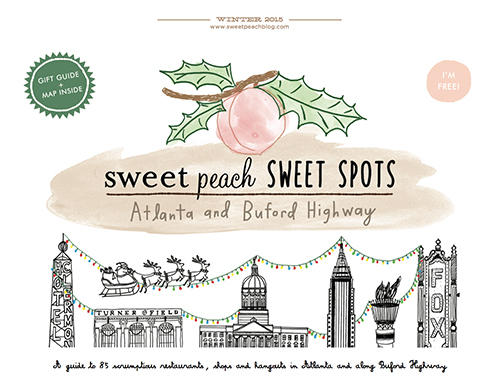 Back from a bit of an extended break (which was a much needed refresher), I'm happy to return to the blog with the release of the next Sweet Peach Sweet Spots paper. This one features Atlanta and Buford Highway. For those of us that live in Atlanta, we often visit Buford Highway knowing a place or two to check out so I hope this comprehensive guide of 25 BuHi Sweet Spots (and 60 Atlanta) entices us all to wander and explore. To view the paper, click the pic above or find the PDF, here.